The power output of small samples (up to 10g) is carried out using a cone calorimeter A gas analyser allows for the measurement of O2, CO and CO2 gas released during burns. The mass of the sample is also recorded throughout the thermal degradation process using a precision scale. 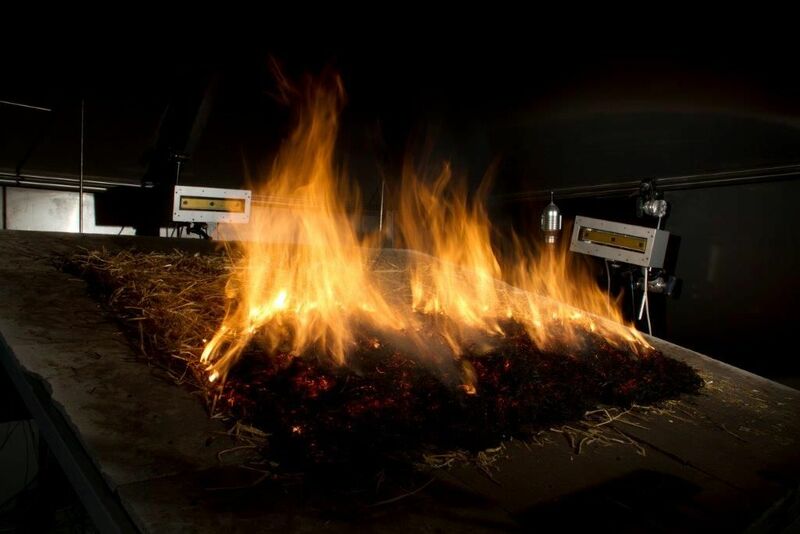 Fire output for fuel loads <4 kg is measured using Large Scale Heat Release Apparatus. 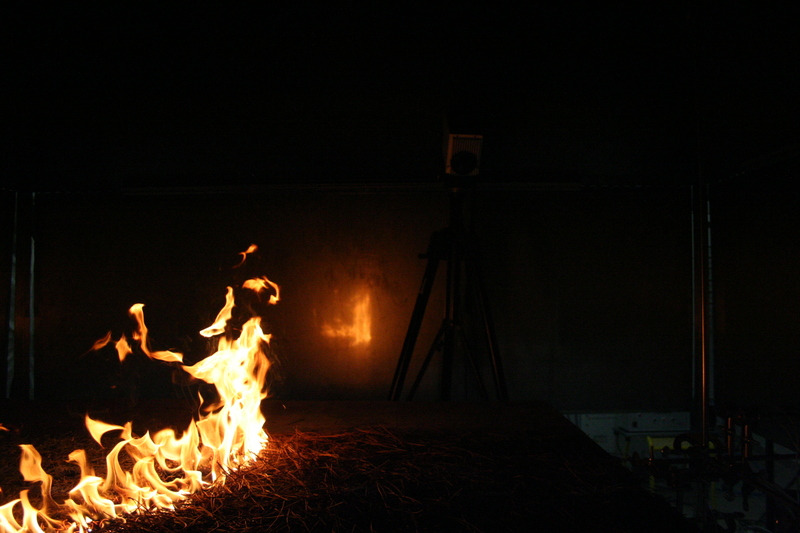 A tilting combustion bench allows for the effect of slope on the behaviour of the fire to be studied. This is positioned on a weighing unit that records the mass loss of the sample over time. 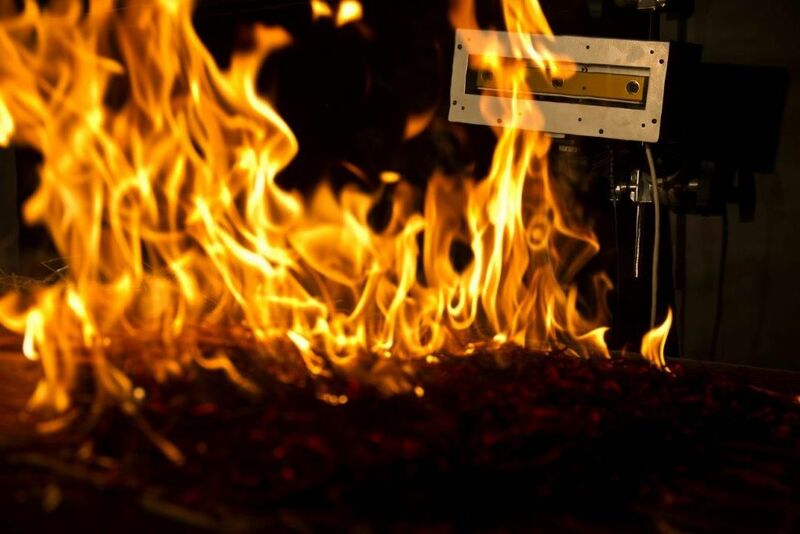 The temperature of the fuel bed preheated by the flame front is also recorded using infrared thermography. 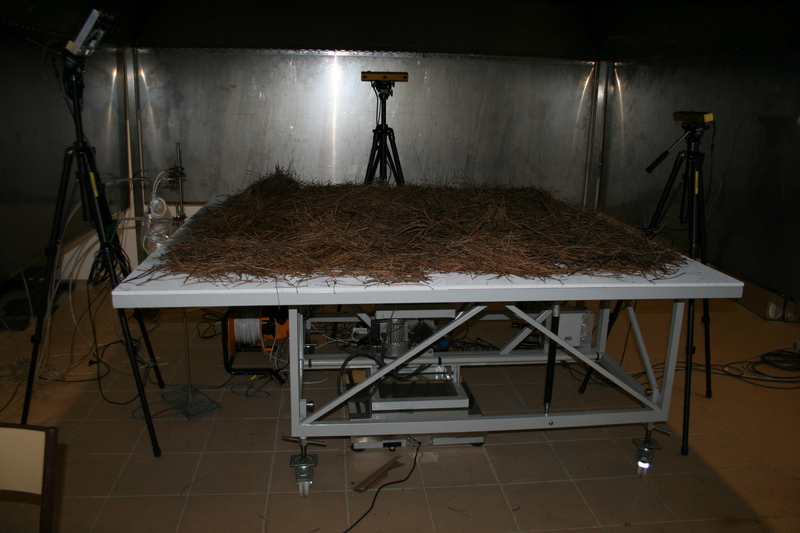 Whole cistus samples are exposed to a set of radiant panels. 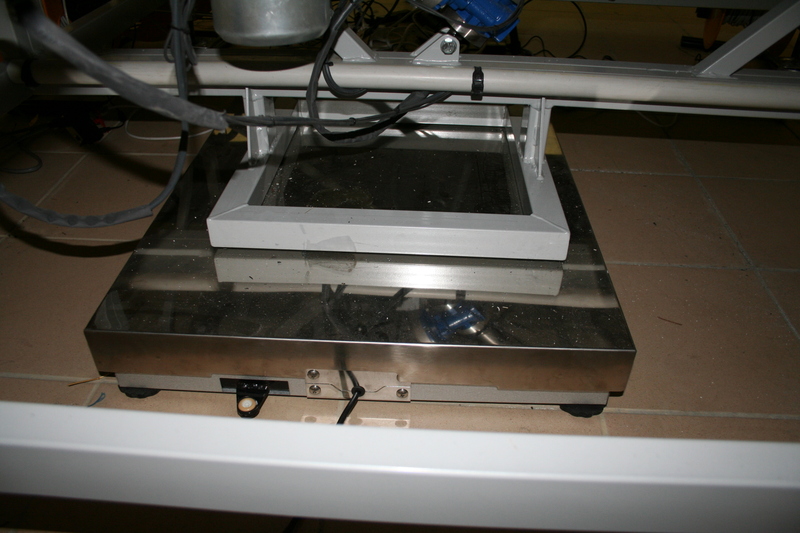 The output released and loss of matter is measured by the LSHR and the weighing unit. The heat flows released by the burning sample are measured by flow meters. Radiant panel and plant temperatures are also monitored using thermocouples and an infrared camera. An FTIR is used to measure the change in combustion gases throughout the thermal degradation of the fuel. This device can be attached to two calorimeters. The stereovision system used in the laboratory is the XB3 Bumblebee device from PTGree. It features three cameras connected in a rigid manner spaced 12 cm apart. A box is used to thermally protect the device. 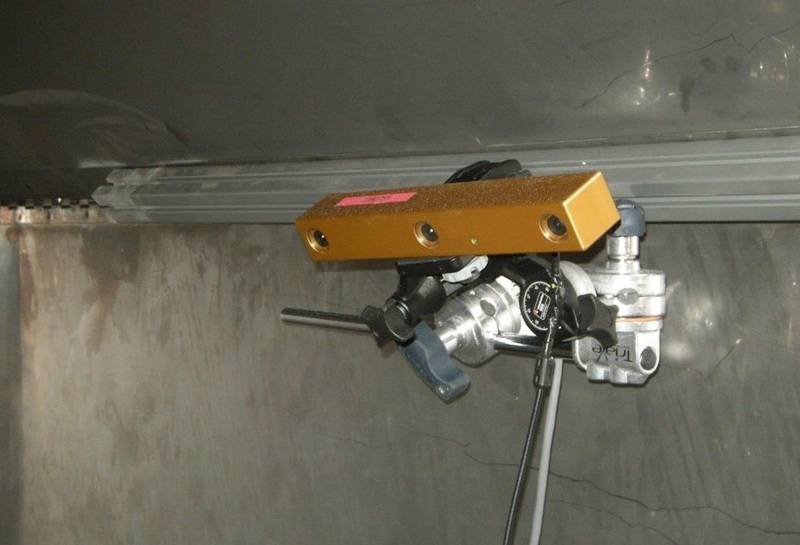 Three devices are placed around the platform in the laboratory on which small fires are ignited and start spreading in such a way as to obtain complementary points of view. 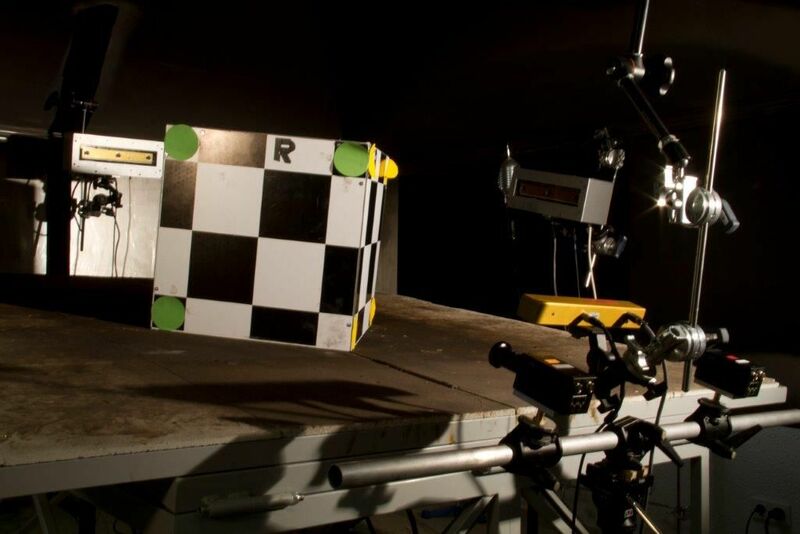 The registration of three-dimensional data obtained from each system is carried out using a calibration cube.